Why not call our sales team today for free help and advice? 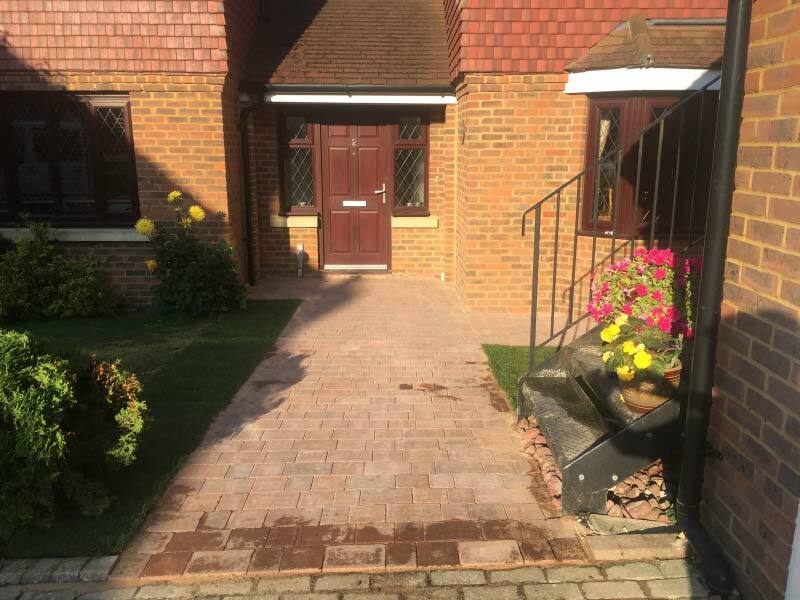 Kent Line Drives are a well respected, professional highly recommended driveway, block paving / patio company from Bromley in Kent. We can design and install a new patio area or driveway big enough for 1 or more cars depending on the space you have. We specialise in deck installations and we are more than capable of providing your home with this very same sense of lasting beauty. 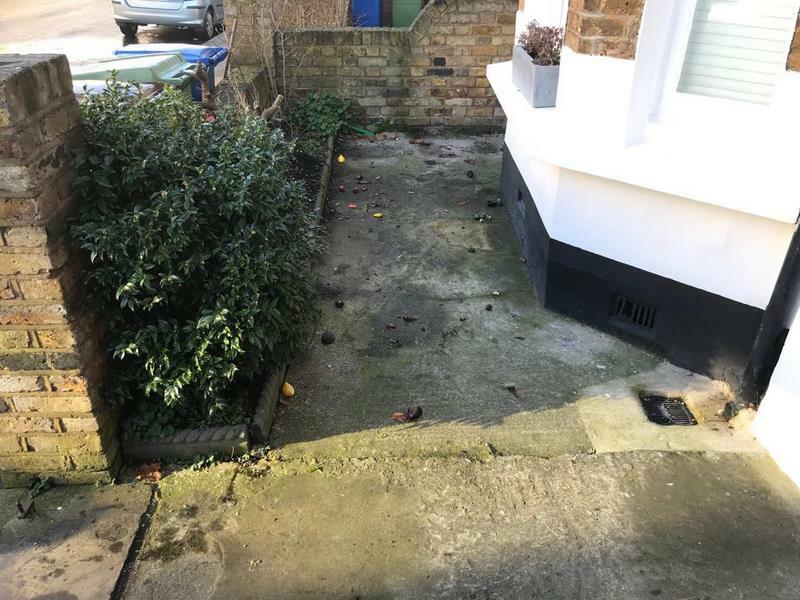 Any repairs that are undertaken will work in synergy with the existing driveway and will blend in perfectly with the existing surfaces. We can transform your whole garden just by removing your old looking turf and replace it with artificial grass. A well-maintained garden is arguably one of the most important ways to leave a lasting impression. We are more than happy to give you inspirational ideas on what would work well for the type of garden you have. We offer an interesting and stunningly beautiful alternative to traditional surfaces known as imprinted concrete. Sealing will provide an effective barrier against the elements, extending the lifespan of the protected materials. 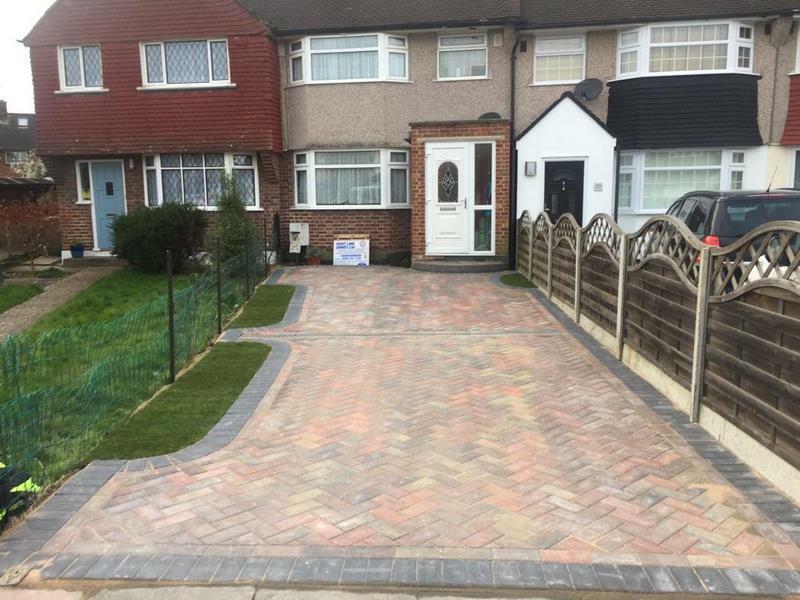 Previously completed block paving, driveway, patio, decking and landscaping projects. We have an honest and hardworking team of landscapers and paving experts who also specialise in fencing, brick work and driveway repairs. 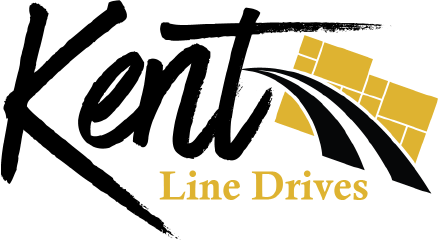 We provide written estimates and offer a guarantee with every service we provide. All our materials are sourced from leading manufactures. We can work to strict deadlines and because of our quick turnaround, we can assure you that there will be hardly any disruption to you, your family or to your neighbours while the work is taking place. Designing and installing new driveways and patios is what we specialise in. We can erect timber fence panels around your garden, build brick walls or carry out repair services to your block paving. Our team of landscapers can remove old worn turf and replace it with either artificial grass or new turf. The choice is yours. Choose from a wide range of groundwork services carried out to the highest of standards. Contact us if you would like a free no-obligation quote. 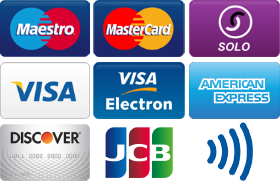 Our prices are affordable and very competitive. Kent Line Drives are an established driveway and landscaping company that are highly recommended. Our qualified team can tackle any groundwork project for you commercial or residential premises. If you own a residential or commercial property, then we are happy to offer you our groundwork and landscaping services at a competitive price. Telephone, Email and contact form.